“During Christopher Columbus’ second voyage, reports of his conduct raised serious questions in Spain about his character. In 1500, during his third voyage, his reputation hit rock bottom. “Columbus, together with his brothers Bartholomew and Diego, was arrested by royal commissioner Francisco de Bobadilla, sent back to Spain in chains like a common criminal and charged for crimes he committed, ordered and allowed to go unpunished in Hispaniola. The highest reverence paid to historic figures is the erection of public monuments to their memory. It is important to acknowledge, however, that a person may be elevated to hero status in one place or in one era and be repudiated as a villain in another place or another era. There are such figures in every society. A worthy example is King Shaka Zulu who colonial historians of South Africa characterised as “a savage monster, a children’s book villain” (Kevin Belting, Shaka Zulu: The Man, the Myth and the Media). The collapse of apartheid in 1990 saw an instant historical-political revision of Shaka to that of “a visionary” deserving of honour alongside Africa’s greatest military geniuses and empire builders including Hannibal, Ramses ll, Taharka, Sundiata and Nzingha (Molefi Asante, The History of Africa). In the past two years, the graveyard of villainy has overflowed with one-time heroes because of the MeToo Movement. Some figures may be both hero and villain within the nation they served. In the USA the status of confederate general, Robert E Lee, is a case in point. To devotees of the confederacy, Lee remains their greatest hero; to the opposing “patriots” and their successors, his treachery is unpardonable, and they continue to demand an end to his public veneration. Similarly, few in Spain’s old kingdom of Castille object to the Fiesta Nacional de España marking Columbus’ arrival in Guanahani on 12 October. 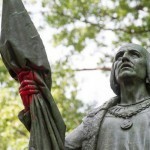 But liberals in Barcelona, capital of the former kingdom of Catalonia, have condemned the Fiesta Nacional as a “celebration of genocide” and have been calling for the dismantling of the nearly 200-foot tall Columbus monument in the city. 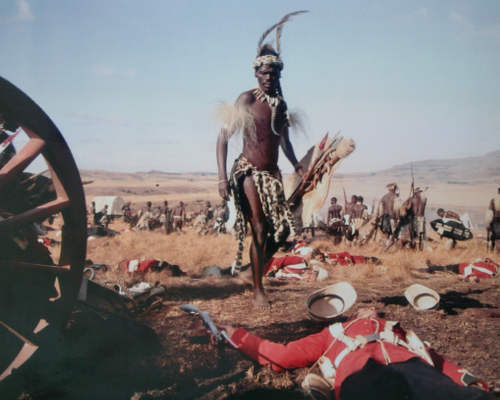 Photo: The Battle of Isandlwana on 22 January 1879 was the first major encounter in the Anglo–Zulu War between the British Empire and the Zulu Kingdom. Despite a vast disadvantage in weapons technology, a Zulu force of around 20,00 killed over 1,300 British soldiers. Undeniably, Spain celebrated Columbus as an outstanding hero-navigator-explorer on his return from the Caribbean in 1493, despite the taint of trafficking in kidnapped natives whose hospitality had salvaged his voyage from utter failure; despite the loss of his flagship through negligence; and despite the greater success of his subordinate, Martin Alonso Pinzon, who brought back more gold and who he had threatened to hang for insubordination. Fortunately, for Columbus, Pinzon died mysteriously in his company, less than three weeks after the admiral’s return to Europe. 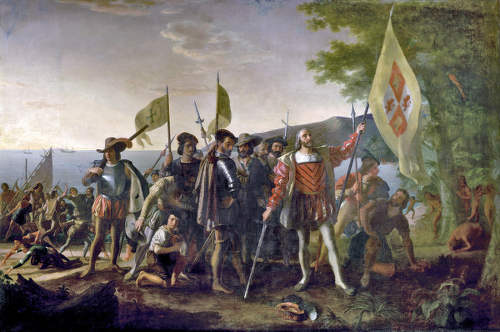 Beginning with Columbus’ second voyage, numerous individual adventurers were awarded royal “contracts of discoveries” in direct competition with him. The royal conspiracy against him thickened after his third voyage. Many of his rivals proved quite successful, thus diminishing his stature. What saved Columbus from obscurity, especially after his ignominious third voyage, was the return of Vasco da Gama from the real Asia, laden with gold, silver, diamonds, spices and silks. Also, luckily for Columbus, the Spanish sovereigns had more confidence in him than his rivals to fulfil the promise of abundant gold and pearls, based on native intelligence obtained as he sailed through the Gulf of Paria on his third voyage. One gold ornament worn by a native was “the size of an apple”. However, the huge successes of the conquistadores who brought down the Aztec and Inca empires closed the door firmly on Columbus’ heroism. 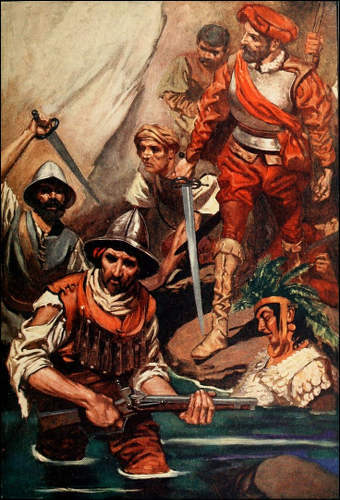 Photo: Spanish conquistadore Hernando Cortez and his men. The Portuguese had carved out an Atlantic monopoly involving the African gold trade which they protected by one of the most impregnable forts ever built in Africa, San Jorge da Mina (Elmina Castle). Now they were on to even more precious stones and metals from the Far East. 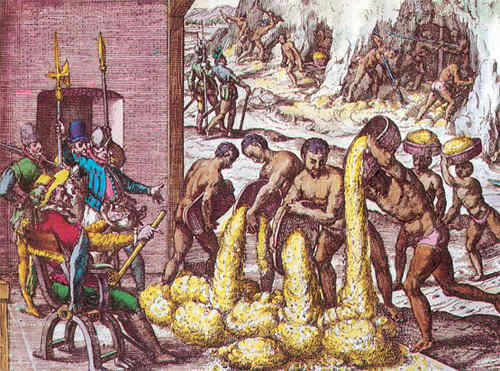 The wealth from American gold and pearls, as envisaged by Columbus and confirmed by Pinzon and others, was the key to counter Portuguese sea power; and it would come from a region that would not bring the two countries into military conflict. 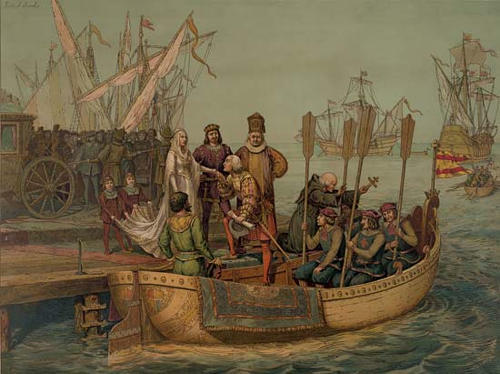 It is for that reason alone that Columbus was sent out with royal backing on a fourth voyage, even though serious allegations of criminal conduct levelled against him remained unresolved. 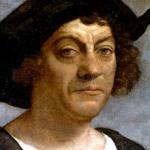 During Columbus’ second voyage, reports of his conduct raised serious questions in Spain about his character. In 1500, during his third voyage, his reputation hit rock bottom. Columbus, together with his brothers Bartholomew and Diego, was arrested by royal commissioner Francisco de Bobadilla, sent back to Spain in chains like a common criminal and charged for crimes he committed, ordered and allowed to go unpunished in Hispaniola. Despite King Ferdinand’s personal economic expediency for releasing Columbus for a final voyage, the order for the arrest, transportation in chains, imprisonment, and stripping of the titles of Admiral of the Indies and Governor of Hispaniola delegitimised him as national hero. Columbus biographer Washington Irving agreed that while the record of his achievements stand, it did not cancel out the enormity of his crimes, even taking into account the morality of his day. After his death, Columbus remained an enigma in Spain. 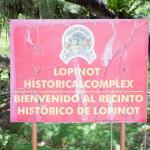 They even removed his bones from their resting place in Seville and sent them to Hispaniola for interment. It is hardly likely that Spain would have acceded to Columbus’ wish to be buried in an undeveloped Caribbean outpost if he were still revered by the monarchy. Indeed, he was not uniformly embraced as a national hero in Spain [or in Italy] until the early 20th century, after the Americans adopted him as the icon of their androcentric manifest destiny. The same could be said about Italy, despite Italian emigrants in New York making him the symbol of their ethnic identity prior to the quadricentenary celebrations. It was only after the Spanish-American war had begun in 1898 that Spain demanded the return of his remains to Seville for re-interment. Between Las Casas’ Historia de Las Indias (1559) and Muñoz’s Historia Del Mundo Nuevo (1792) there seemed to be little interest in Columbus by academic historians. For example, Bernal del Castillo’s Historia Verdadura, published in 1568, said not a word about him. Despite his navigational achievements, Columbus may have remained an obscure historical figure were it not for a renewed aggressive imperialist impulse of the Roman Catholic Church during the papacy of Pius lX. French historian, Compte Roselly de Lorgues, confirmed this connection in his book, Histoire Posthume de Christophe Colomb (1878). Lorgues wondered if it was witchcraft (occulte) that made Columbus almost completely invisible to civil society (éclipse presque totale) for more than three hundred years. Up to the eighteenth century, the celebration of Columbus was syncretised in the rituals and doctrine of Mariology in Catholicism. Aiding in the civil restoration of Columbus were the British colonists of North America who curiously adopted Columbus as a mascot of their American identity. 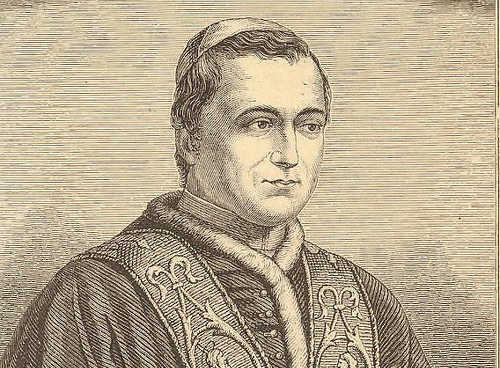 Photo: Pope Pius was elected pope in 1846. From the very dawn of Europe’s maritime expansion in the fifteenth century, the Roman Catholic Church was first among equals in a tripartite imperialist coalition with Iberian monarchs and their merchant capitalists. The papacy sanctioned and participated in every major phase of the internationalisation of European capitalism by issuing supportive papal bulls, beginning with Eugene lV’s Sicut Dudum (1435). Shortly after the first Portuguese kidnappings on the West African coast in the 1440s, Pope Nicholas V issued his infamous bull, Romanum Pontiflex, authorising the kidnapping and enslavement of Africans, both “pagans” and “Mahometans” (Muslims), whom he branded “enemies of Christ.” The popes continued to issue bulls throughout the fifteenth century, culminating with the well-known Inter Caetera and the lesser-known Dudum Siquiem in arbitration of Spain’s claim to America. This tripartite coalition of imperialist powers bonded even more closely just before and immediately following Columbus’ transatlantic enterprise and Vasco da Gama’s first voyage to India. The church of Santa Maria de la Rábida, near the town of Palos in Spain, was deeply involved with Columbus from his first voyage. Sources reveal that the friars of this church facilitated the acquisition of two of Columbus’s ships. Columbus also admitted that he lived at the Church from 1491 into 1492; other sources claim he did so from as early as 1487. According to the Encyclopedia of Christianity, “…before sailing he placed himself under the protection of the Lady of Rábida… After returning to Spain, he made a pilgrimage of gratitude to Our Lady of Guadalupe.” Our Lady of Guadalupe in northern Spain and the Lady of Rábida in southern Spain are two of the many sobriquets for the Virgin Mary, who became the patron saint of European overseas expansion and conquests. Photo: The voyage of Christopher Columbus. The “companions of Columbus”, as well as the second generation of conquerors of the continent, including Hernando Cortes, Francisco Pizarro, Diego de Almagro and Pedro de Valdivia, among others, were all devotees of the Virgin Mary. The same goes for Vasco da Gama, the first Portuguese explorer to reach India. Marian mythology or Mariology provided the religious flavour for the deluge of papal bulls and royal decrees authorising speculators to squeeze the lifeblood from Caribbean indigenes and Africans for personal, monarchical and ecclesiastical aggrandisement. The Virgin Mary is often depicted in sacred art as the “Madonna and Child”. It is not by accident that Columbus partially repaid his debt to the friars of La Rábida by renaming the largest second-hand ship, La Gallega, La Santa Maria de la Inmaculada Concepción (Holy Mary of the Immaculate Conception), which he chose as his flagship; and the smallest, La Santa Clara, he renamed La Niña (The Child – all ships’ names were feminine). Columbus further honoured the Holy Child when he named the place of his first landing in the Americas, San Salvador (Holy Saviour), perhaps to compensate for the compulsory feminisation of his ship. On Columbus’ return to Europe, Pope Alexander Vl imperiously “donated” the world west of the Azores to the Spanish crown via the bull Inter Caetera. He specifically mentioned Columbus in the bull as the Church’s “beloved son”. The Church was central to the continuing decimation of the native peoples in America after Columbus’ downfall. For example, the encomienda was the primary institution of enslavement of indigenes of the hemisphere and none was complete without a mission church, whose priests were major enslavers of the natives. Photo: An artistic depiction of the encomienda system, under which the indigenous population was forced into servitude to the Spanish crown. Even when the pope did not issue a bull, his authority was still invoked by conquistadores and the crown. The document called El Requirimiento (The Requirement or Requisition) issued in 1513 was a royal manifesto that invoked the authority of the papacy to justify ruthless capitalism, first against Caribbean native peoples. Read only in Spanish, it claimed that Pope Alexander VI had “made donation” of their lands to the sovereigns of Spain. 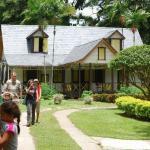 In the words of one historian, “The Inter Caetera and the Requirimiento between them laid the foundations of colonisation and genocide in the Americas”. 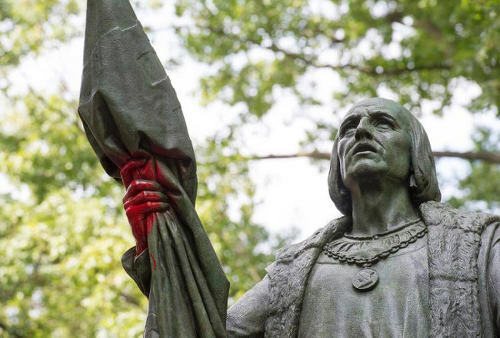 Of this holocaust, Columbus was the founding father. It was only the Church that kept Columbus’ memory alive after his ignominious fall from monarchical grace. Early in the seventeenth century the northern Europeans began establishing plantation colonies in the Caribbean and North America, applying their own principle of “effective occupation” to invalidate Spain’s “prior discovery” principle on which it had justified its hegemony over the hemisphere. Rising to this new challenge, the Church made the bold move to redeem Columbus from historical purgatory. This time it was the church of Nuestra Señora del Pilar, located in Saragosa, that answered the call. In 1640, the Council of Zaragoza (Saragosa) declared October 12—the date of the arrival of Columbus in the Americas—as the feast day of Nuestra Señora del Pilar, the earliest manifestation of the Madonna and Child in Spain, dating back to the first century AD during the mission of the Apostle James. The stated intention of the council was to honour Columbus. This backdoor beatification of Columbus reflects perfectly the affirmation of eminent historian, Yosef Ben Jochannan: “Religion is the deification of a people’s culture.” This Council of Zaragoza was the foundation ritual that evolved into a full-blown weaponising of Columbus as an icon of white supremacy when adopted by Protestant North America. Editor’s Note: Click HERE for part one as historian Dr Claudius Fergus judges Christopher Columbus through the lens of history and explains why his statue should be an affront to Trinidad and Tobago. 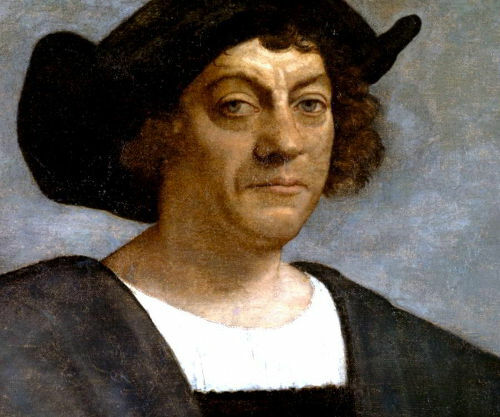 Click HERE for part three, which focuses on the role of the United States in the re-invention of Columbus. Columbus died over 500yrs ago. He has been revered and placed on a pedestal for the past 200yrs due to the whitewashing of history. Enough glory for him now. 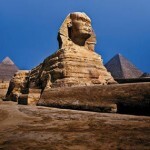 It is time to acknowledge the truth and show respect for the cultures he almost wiped from the face of the earth. We can’t change history but if some of the descendant victims don’t want to look at his image isn’t that the least we can arrange to say we are sorry for what they endure/d.